Highest Potential VS The Use Of Power. Semperlee Yoga. Org encourages Meditation for the Body, Soul and Mind through nature’s connection. 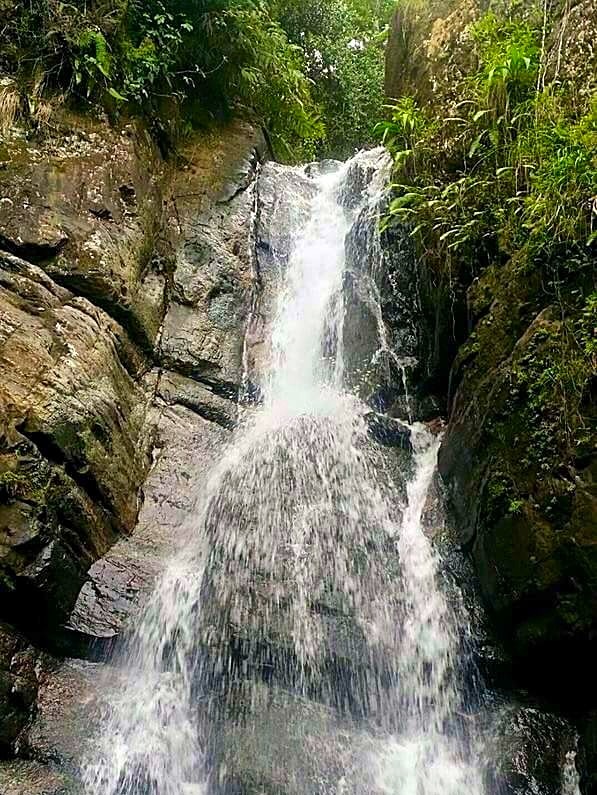 “When we connect with nature we make our way easier to find ourselves and rejuvenate. “Meditation is a practice where an individual trains the mind or induces a mode of consciousness, either to realize some benefit or for the mind to simply acknowledge its content without becoming identified with that content, or as an end in itself. • Lowers blood pressure reducing risks of heart diseases. 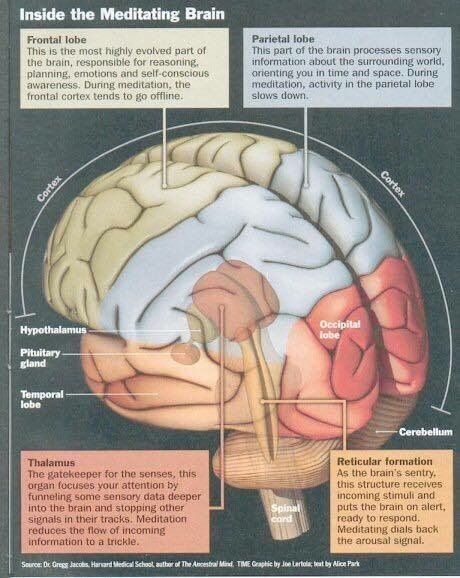 Above image shows how meditating increases brain activity in the areas associated with hapiness and positive thinking. 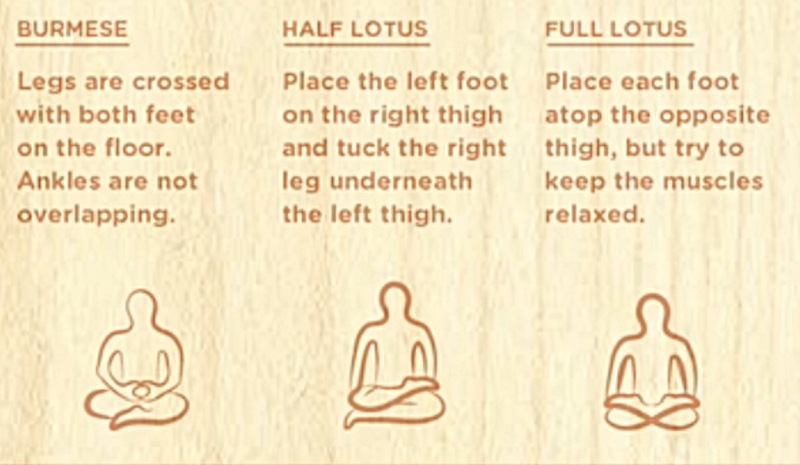 There many styles of meditating, below are provided the three most frequent types of meditation. 3. What is my life purpose? 4. To whom should I be grateful? 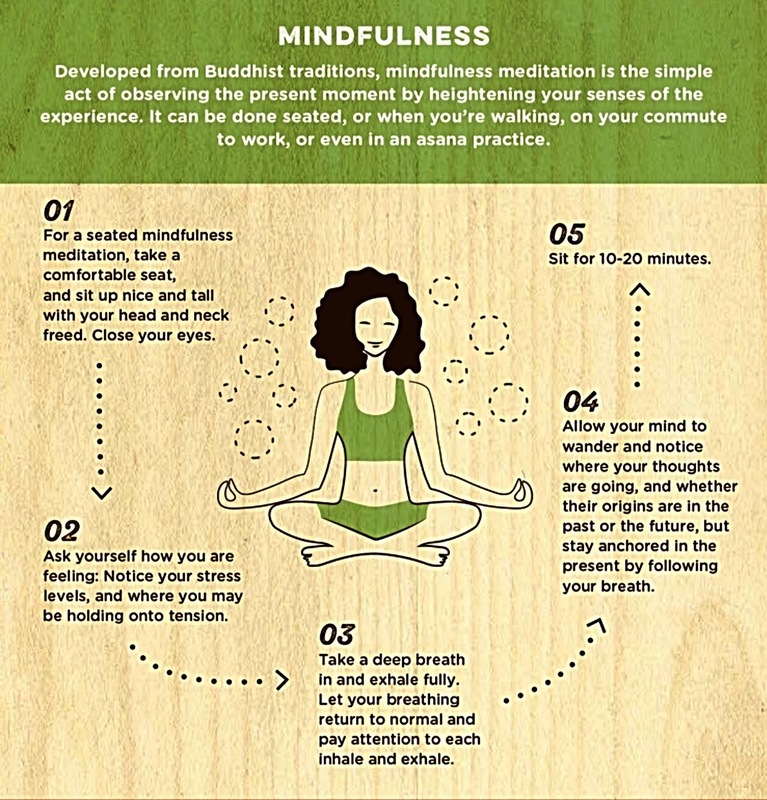 One minute per each question should be enough to find an answer, then catch back your breath and connect with your Mantra, for at least 16 more minutes. Did the kids finish their homework? So Hum meditation chant, is a mantra that is used in both mediation and yoga. 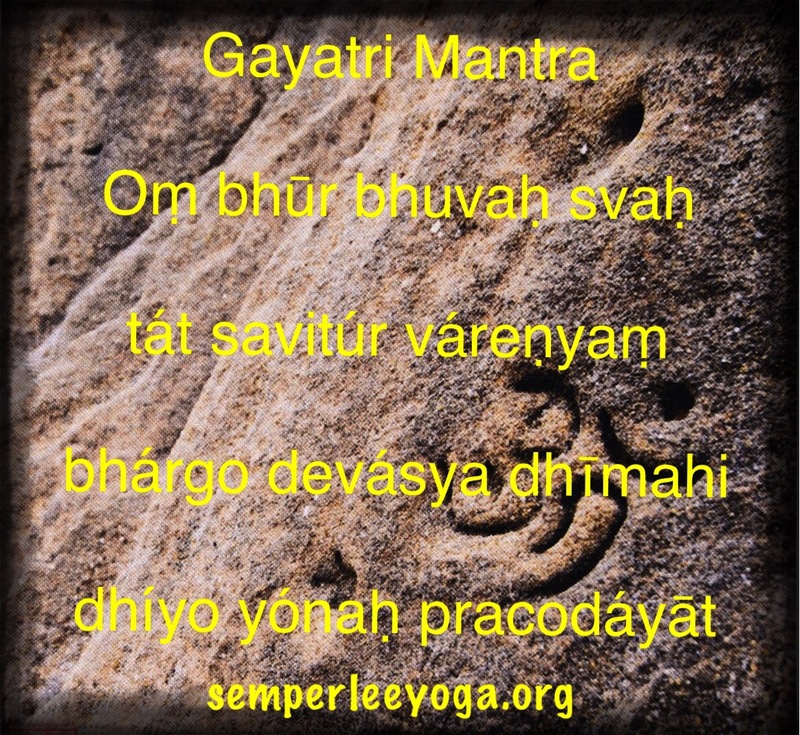 The mantra is Sanskrit and means “I Am That”. Now and respectfully if you are a Christian, then this might sound familiar to you, as this phrase is also found in the scriptures. God told Moses “I am that I am”, which is a phrase many people have tried to decipher and understand for years. In the So Hum practice, it means to identify with everything around you. I Am That means that you are that specific item. You are the plants next to you… you are the water in the ocean… and you are the wind caressing your skin. You are everything… united by energy, and created from the same universal force. There are also others mantras (tool to calm your mind) that you can connect with through this beautiful journey, also if deciding to go through a Meditation’s Advanced training or Yoga Teachers Training, you will be provided by your birth’s mantra based on your birthday and time of birth. I have mine, which helped me a lot as a former military meditating resistant woman, to sit down and embrace inner shadows in order to become closer to that better version of the self, we all want to meet with one day or the other. However, when completely rookie on this is recommended to begin from the very basic. So Hum mantra can help you to connect with the universe and God, and allow you to better understand the phrase. Give yourself a chance to connect with the world… with everything around you. Allow yourself to be a part of your surrounding, and let them be a part of you. That may be what God was saying in the phrase “I am that I am”… that he is everything. 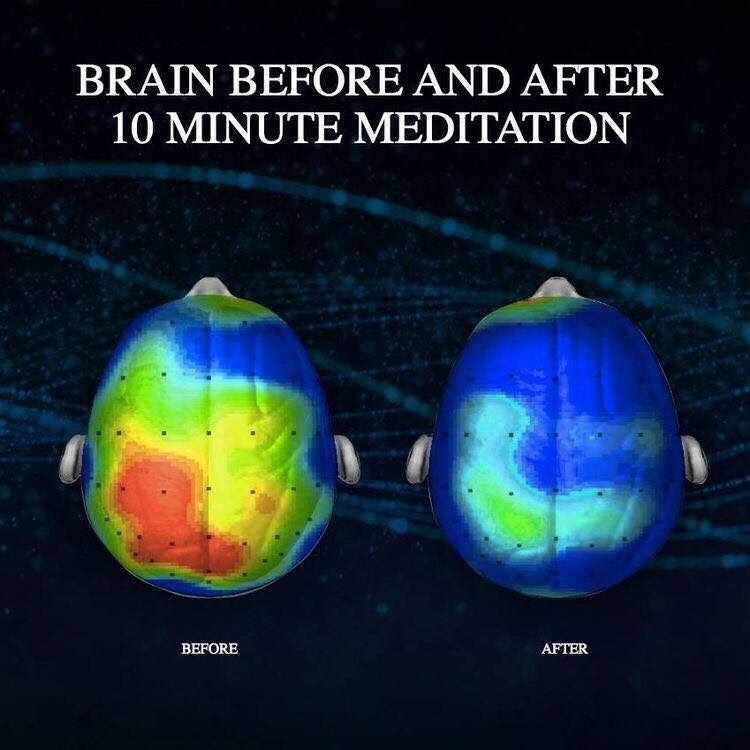 Another benefit of the So Hum meditation is that can also help you center your mind and stay focused, which is great for beginners. So if your mind tend to wander a lot, this meditation chant might be able to keep your mind focused. It is a very easy meditation exercise, and the words will flow naturally, as it sort of goes with the breath. It thereby creates this natural soothing flow that helps relax and calm your mind and body. 2. Mindfulness Meditation is recommended to stay calm and focused on the present, while anxiety is about projecting into the future. 3. 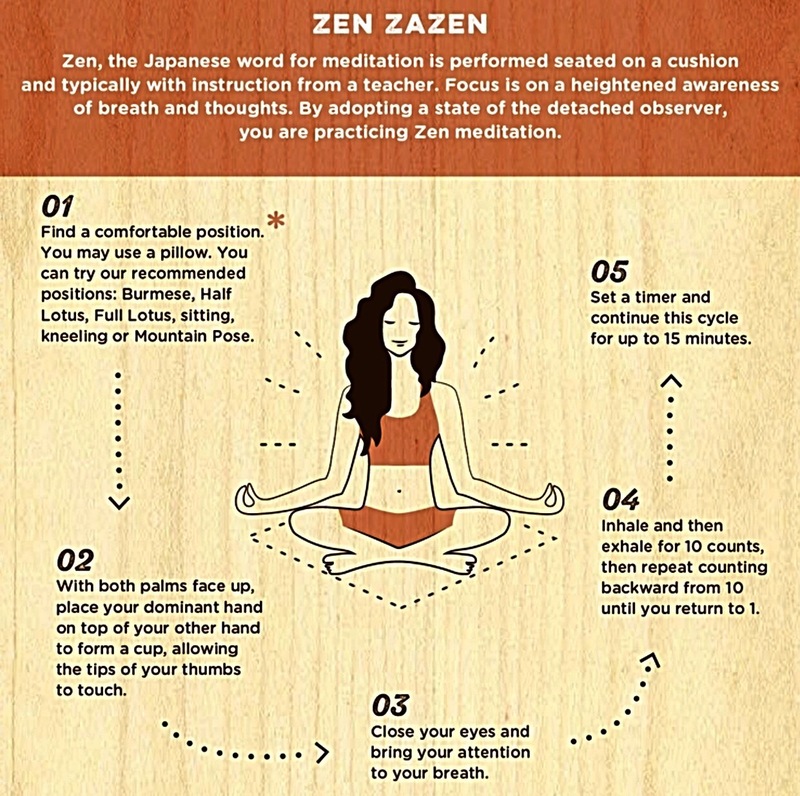 Zen Zazen is encouraged by martial arts. 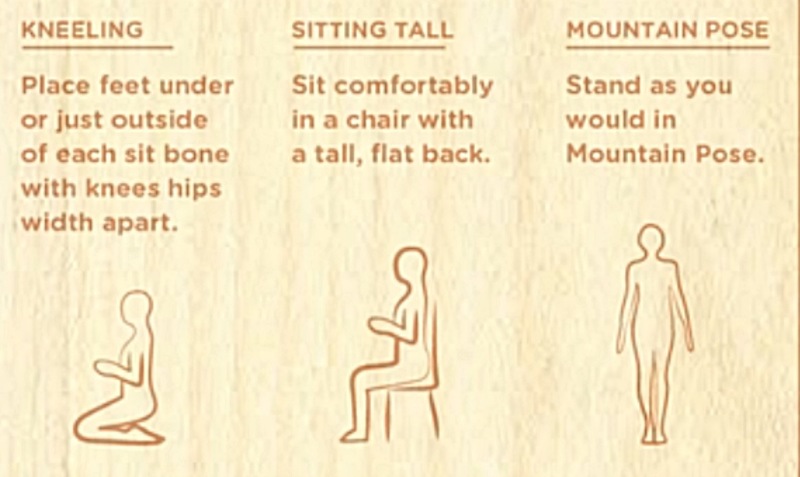 You can try one of below six different poses for meditation, and based on your flexibility and comfort pick one to embrace your practice. 1. Information Courtesy of Semperlee Yoga Corp.
• Semperleeyoga.org does not encourage withdrawal or self-release from any medical treatment; neither intended to diagnose, mitigate, treat, cure or prevent any disease. • If you are new to yoga, the postures within this website although recommended by a certified yoga instructor, are best learned from a live class facilitated by a certified instructor as well.